Buy, Rent or Skip Saturday Night Live: The Best of Dana Carvey? 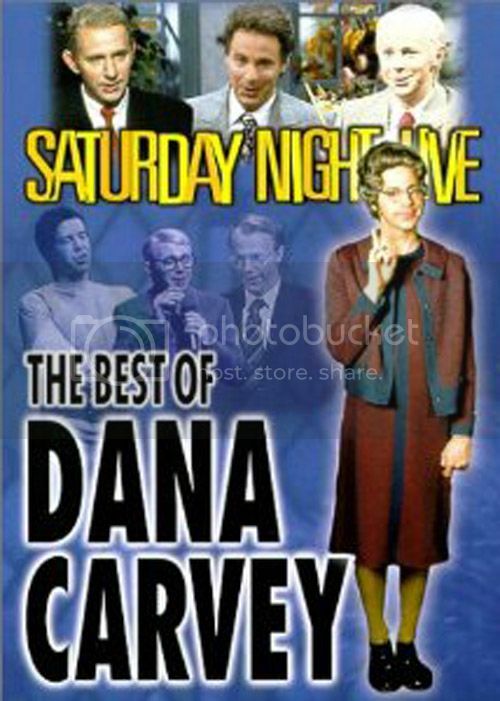 Just like all SNL Best Of DVD, Saturday Night Live: The Best of Dana Carvey suffers from major omissions. But unlike Phil Hartman's Set, Dana Carvey's DVD has a lot of great skits that makes this a keeper. If Phil Hartman didn't exist, Dana would be in the #1 spot for all-time favorite SNL player. This one has a wide selection of some of his best skits like Hanz & Frans, Jimmy Stewart, Wayne's World, The Church Lady and a host of other well known characters. I just wish that Lorne Michaels would do these players right and put out 2-3 Disc Special Editions to cover more of their best stuff and do justice to both the people behind the laughs as well as the name itself: Best Of. Anyway, this will have to do and it's still a great collection, one that I won't soon part with. Definitely a Buy. The copy I own is actually part of a 4 Disc Box Set that includes Mike Meyers, Chris Rock and Chris Farley. Can you elaborate on some of the sketches that should have been included? I'm quite curious. There's just too many to name. All that characters that I mentioned earlier, each one had tons of epic skits that could fill up a DVD disc all on it's own. Some of the skits that are actually on this Best Of are edited in itself. There is a montage of best bits showing little snippets of each one that should have been given the proper treatment of the entire skit. There's like 10 Ross Perot skits alone as well as a handful of George Bush skits that could and should have been included. They definitely should have included Hanz & Franz with Arnold Schwarzenegger. Shockingly there isn't any Johnny Carson skits. Well, to be fair, it does have the Carsenio skit which is a mash-up of Carson and Arsenio Hall. I forgot about Arnie being on Hanz and Franz. I don't know if you caught SNL on Netflix but talk about EDITED, some of the shows are 18 minutes long. EIGHTEEN! And they always cut the best skits (NO Roxbury guys in ANY episodes, music rights), and a lot of it is arbitrary and pointless (no Whipmaster either), what's the point of putting the show on if you're going to butcher it worse than the TV reruns? I have problems with channels like VH1 among others, running marathons and them butchering it to fit into 45 minutes in an hour block and it just feels wrong and off. So, the idea that there is someone else out there doing even more damage and cutting it down to a mere 18 minutes is asinine. As you said, "what's the point". I have NEVER understood cutting up, no less, editing down, content. WTF.